We are grateful to Dr Konstantinos Farsalinos, among the foremost researchers in harm reduction through electronic cigarettes, for taking the time to fact-check the article. The publication has refused to correct these factual errors, denying even the request that our director be mentioned by his full name, and is demanding money to post comments. The article along with comments by Dr. Farsalinos is reproduced below. A government committee has decided to ban the sale of vaping devices across the country because it contains nicotine, which can be lethal. Dr Konstantinos Farsalinos: Cigarettes also contain nicotine. Oral tobacco products also contain nicotine. All these products are really lethal but not because of nicotine. There has been no case in the world of intoxication (lethal or not) from e-cigarettes through intended use, because users self-titrate nicotine intake (as it happens with tobacco cigarettes). As for unintended exposure, there are far more cases of intoxication from medications and household cleaning products than from e-cigarettes. The 5,000-member Association of Vapers – India is challenging the decision to ban because vaping is safer than smoking cigarettes. But the committee says it would be hard to regulate the sale of cigarettes so banning it is the only option. Dr Farsalinos: The EU has a very simple and effective regulatory framework for e-cigarettes which has worked very well. Since the market for vaping has exploded in India in last one year, would the government be able to implement the ban? It smells like a large basket of fruits gone bad. At least, to me. But among the hundreds of nicotine-laced flavours called e-juices on the shelves of one of Delhi’s first vaping shops, this one is the owner, Aalok Awasthi’s favourite. The smell, he says, is sweet-and-sour melon, and so is the experience of being a vape shop owner. Located in Greater Kailash II, South Delhi the shop sits nestled between a burger food stall and a gym equipment store. Awasthi, once a computer engineer, used to smoke 20 cigarettes a day. But all that is in the past. He switched to vaping three years ago. He pauses, takes a long drag, and puffs out what he calls “a cloud”, not smoke. Three out of four customers that walk into his store are people looking to quit smoking or hookah, and they’re encouraged by a sign at his door—stop smoking, start vaping. The rest, he says, are youngsters looking to buy this relatively less harmful but cool device. Or so they think. But it’s a moral dilemma, he says. It’s a dilemma because while vaping can wean its user of the tobacco habit, ridding one of the cancer threat that comes out of tar and smoke inhalation with cigarettes, it’s also addictive. More so, because it’s sold on the promise of being a healthier, cooler alternative to smoking. That notion though isn’t exactly accurate. But before we get to that, there are two fundamental questions to answer. 1) What exactly is vaping? 2) How popular is it, really? A vape is a device which allows you to inhale and exhale “the cloud”. An e-juice is used to create the substance in the device, which, like Awasthi’s sweet-and-sour melon, comes in different flavours. The vape itself is small, hand-held. It could look like a miniature walkie-talkie or resemble a hookah or a cigar or even a cigarette. The most popular kind is one that looks and feels like a plastic cigarette. The overall idea is to inhale the heated e-juice and exhale a cloud, which looks like smoke and serves as an alternative to smoking cigarettes. And it’s an alternative that’s catching up fast. Dr Farsalinos: The most popular devices are NOT those looking like a cigarette. They are old designs and largely ineffective in helping people quit. Awasthi insists that his business has grown rapidly since he opened in January 2017. His Gurugram store, which he claims was the first vaping store in India, profited by selling only to those who were looking to quit tobacco. Today, he has two stores, in Gurugram and in Greater Kailash. He sells three times more devices and e-juices every month now than when he started. Even though half a dozen other such stores have opened in Delhi, about 20 major distributors of devices and e-juices have developed their brands. ITC launched its own device with the brand name EON in 2014. Since then, it has launched EON Charge and EON Zip. So far, there has been no extensive study conducted on the Indian vape market. However, according to business intelligence company Euromonitor, the global market for vaping products grew at 818% between 2011 and 2016. There have been regulations slowing its growth, and yet, it is projected to grow at 176% between 2016 and 2021. Even conservative global market studies peg the market to cross $43 billion by 2023. Cigarette companies such as Philip Morris International and Godfrey Phillips India, smelling an opportunity, have launched their own vaping products for the global market. But none of them has been able to compete with the diverse Chinese counterparts that dominate Awasthi’s store. Customers often pick the attractive Chinese options over the more expensive international brands. USB charging. Unique shapes and colours. Complete merchandising. Some even resemble Apple’s legacy iPods. Along with these, the store’s shelves are filled with e-juices in varying quantities of nicotine. 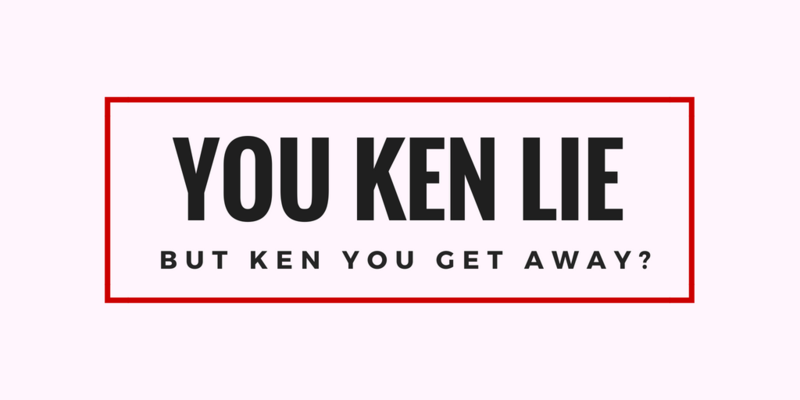 Flavours range from dragon breath, tobacco with mint to his sweet-and-sour favourite. Awasthi may have started the store with the intention to offer smokers a less harmful alternative to tobacco, but that’s not how the Indian government sees vaping. The government wants to crack down on the industry, as not only is vaping addictive, nicotine in large doses can prove fatal. Dr Farsalinos: See my comment above. The popularity of vaping can undo decades of work in the regulation of the consumption of tobacco. Most significantly, it isn’t a risk-free hobby. In developed countries, vaping has been brought under legal scrutiny, with set standards and approvals in place. India is just getting started. Indian state governments that have banned vaping and vapers associations have taken the matter to court. Vapers are pleading with the governments to do what the developed countries did—help smokers quit. But India has a counter-argument: we are not them, and do smokers really quit? Dr Farsalinos: On the contrary, e-cigarettes seem to accelerate the smoking decline everywhere. UK is a perfect example. There is no country where the availability of e-cigarettes has resulted in an increase in smoking prevalence or a slow-down of the decline. There’s a team in place posing a strong challenge to vapers in India. A 31-member committee, which includes government officials, public health professionals and doctors, was put together in July 2014. In a unanimous recommendation it made to the health ministry earlier this year, it declared one thing—vaping is harmful and should be banned. Prior to arriving at this recommendation, in 2017, the health ministry had divided the committee into three sub-groups to discuss legal issues, public health concerns, and the science. “Rather than stimulating smokers to switch from conventional cigarettes to less dangerous e-cigarettes or quitting altogether, e-cigarettes are reducing smoking cessation rates and expanding the nicotine market by attracting lower risk youth in the US,” says Dr Monica Arora of Public Health Foundation of India, quoting a study that was published earlier this year. Dr Farsalinos: There is no documented expansion in any place in the world. E-cigarettes promote smoking cessation. In Europe alone since 2014, more than 6 million smokers have quit with the help of e-cigarettes and 9 million have reduced their smoking consumption. Quoting the same study, she added that the e-cigarettes act as gateway to conventional cigarette smoking among non-smoking youth, instead of acting as a deterrent to smoking. This is why the committee is convinced that vaping needs to be banned and not regulated. And so, it has prepared an arsenal of evidence to prohibit the sale of vaping products in India. 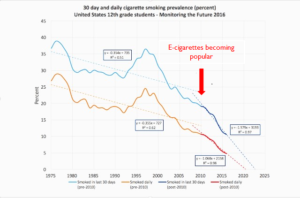 Dr Farsalinos: Youth smoking rates have declined extensively in the US, and the decline has been accelerated since e-cigarettes became popular. See figure below. Regular e-cigarette use is very rare among never-smoking youth (0.2% of never smoking adolescents use e-cigarettes daily – source: Farsalinos et al. Am J Prev Med. 2018 Jun;54(6):814-820). While Punjab termed vaping devices illegal five years ago, Karnataka, Jammu and Kashmir, Bihar and Mizoram are the states to have blanket banned vaping over the last two years. Unlike nicotine gums and patches that are allowed for people to quit smoking, vaping has seen no clinical trials conducted or results published. Vaping products do not have the necessary approval from the drug regulator for sale, points out Dr Prakash C Gupta, Director of Healis–Sekhsaria Institute of Public Health in Mumbai. Dr Gupta was a part of the committee subgroup focused on the science behind vaping. Dr Farsalinos: There are some clinical trials which have shown benefit in quitting (see: Hartmann-Boyce et al., Cochrane review). Many observational studies also support the same statement. For example, in the US, e-cigarette users have 8-times higher chance of quitting smoking compared to non-users of e-cigarettes (source: Berry et al., Tob Control. 2018 Mar 24. pii: tobaccocontrol-2017-054108). Also, It is not really possible for each product to get an approval, even if they go through trials, because the approved nicotine replacement therapy products contain far less nicotine than most e-juices sold for vaping devices. E-cigarettes are not used as pharmaceuticals but as smoking substitutes, and they do not need medicinal approval. In fact, medicinal approval would compromise their effectiveness as smoking substitutes, and the public health authorities would not want that. Source: Farsalinos and Stimson, Int J Drug Policy. 2014 May;25(3):340-5). Pharma major Cipla’s popular product nicotine gum sold under the brand Nicotex contains 2 to 4 mg of nicotine in each piece. A cigarette, incidentally, contains about 10 mg of nicotine, but only about 1 mg of it is absorbed. In comparison, Awasthi says that the nicotine strength in a bottle of e-juice could range anywhere between 0-32 mg.
That’s a lot of nicotine. Dr Farsalinos: This is a totally irrelevant discussion. E-cigarettes contain as much nicotine as needed to alleviate nicotine cravings to a smoker. In 2013 we found that e-cigarette liquids should contain 20mg of nicotine in order for someone to obtain 1mg nicotine in 5 minutes from using a second-generation device (source: Farsalinos et al., Int J Environ Res Public Health. 2013 Jun 18;10(6):2500-14). With some devices, more than 20mg is needed. I will repeat that there is not a single case of nicotine intoxication from intended e-cigarette use. Further, Dr Gupta’s subgroup submitted a summary of the scientific evidence against vaping. The evidence is already clear and more and more papers are being published every day, he says, to point out that vaping is not completely harmless. “Vaping has fewer toxicants than cigarettes but still quite a lot of toxicants, apart from nicotine,” he adds. According to the World Health Organisation, which published a report on vaping in September 2014, nicotine can adversely affect pregnancy, contribute to cardiovascular disease, potentially promote tumours and be involved in neurodegeneration (or the degeneration of the nervous system). The report also stated that the cloud released from vaping is not merely “water vapour” and increases exposure of non-smokers and bystanders to nicotine and a number of toxicants. Dr Farsalinos: Of course e-cigarettes are not completely harmless that is why they are recommended to smokers only as smoking substitutes. Harm reduction is a major strategy in combating diseases and harmful behaviors. Even medications are not absolutely safe, but life-saving when used by people with relevant disease. E-cigarettes represent a perfect harm reduction tool for a harmful behavior, smoking. There is overwhelming data showing that they are by far less harmful than smoking (95% less harmful according to health organizations such as Public Health England and Royal College of Physicians). Recently, more organizations such as the National Academy of Sciences in the US (NASEM) and the American Cancer Society have acknowledged the less harmful potential of e-cigarettes. Finally, there has been no study showing any disease caused by e-cigarettes. 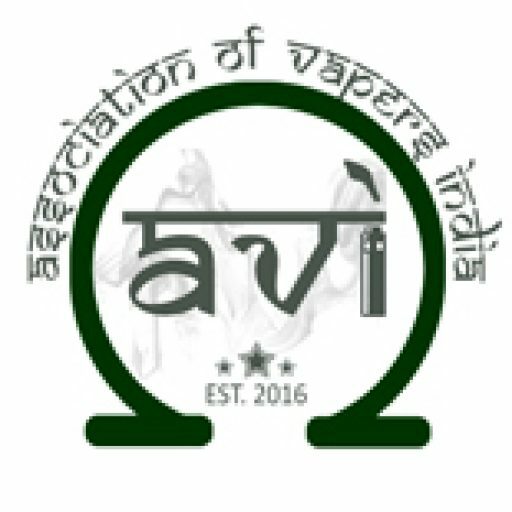 The Association of Vapers – India (AVI), which represents over 4000 members, is not convinced. Vaping still contains less nicotine than a pack of cigarettes, says Samrat, spokesperson of AVI. That is the crux of AVI’s case filed in December 2017 in the J&K High Court. AVI filed a PIL which states, “There are numerous studies, research and analysis that suggest that Electronic Nicotine Delivery Systems [or vapes], in comparison to tobacco cigarettes and other tobacco products, are less harmful and contain far lesser toxins and thereby cause a reduced level of harm.” A valid question at this juncture, one which Samrat, too, hints at is this: Why aren’t cigarettes banned instead? To this argument, Gupta says that if tobacco sales were to start today (since we now know of its harms), no one would allow it. But since that isn’t the case, we regulate cigarettes because that is the only option available; because of the history of tobacco, it is outside the purview of banning as the evidence on the harmful effects of smoking, tobacco and nicotine is fairly recent, he adds. “If cigarettes were introduced today, no country would allow it,” he reiterates. Which is why the 31-member committee has recommended the government to not allow vaping products in the Indian market. Their argument? The government is still struggling to implement the regulations on cigarettes, so might as well get other products out of the way. Dr Farsalinos: Not being able to ban tobacco cigarettes is a perfect argument and reason for allowing e-cigarettes to be marketed as harm reduction products. A decision to ban e-cigarettes is punitive for smokers who will be deprived from a very effective and helpful harm reduction tool to decrease their health risk. E-cigarettes are also self-financed by smokers, so they add no burden and cost to health budgets. “Every cigarette pack should have a pictorial warning that shows and states that smoking causes throat cancer, but we come across packets of imported cigarettes without any warning all the time,” says committee-member Binoy Mathew of Delhi-based Voluntary Health Association of India. He gives the example of the sale of gutkha (a sweetened mixture of chewing tobacco, betel nut, and palm nut), which, though banned by the Supreme Court in September 2016, is still sold in the country. Dr Farsalinos: I fully agree with strong measures against tobacco cigarettes. At the same time, smokers need to be informed about the substantially lower risk associated with e-cigarettes, so that they make informed decisions. Countries and regions such as the US and the EU have the capacity to monitor the sale of vaping devices, both online and offline. Regulation is a choice they have made. In India, the government realises that it will not even be able to prevent children from vaping. (A 12-year-old showed up at Awasthi’s store to make a purchase.) This, Mathew says, is happening more because vaping websites and stores have convinced the youth that vaping is healthier than smoking. Dr Farsalinos: It is accurate that e-cigarettes are by far less harmful than smoking. We should not support misinformation campaigns. If an adolescent or an adult intend to start using an inhalational habit and think that e-cigarettes are equally or more harmful than smoking, they will probably choose smoking. Is this what the public health authorities want? Banning e-cigarettes will have substantial unintended adverse public health consequences. The EU has a simple and effective regulatory framework which can be used as a basis for all countries. On the contrary, banning e-cigarettes will likely result in a black market, which will be uncontrollable and will compromise the quality of the products. Would a ban on the sale of vaping products work in India? No, because the market has exploded in the last one year, says a vaping device and e-juice importer from China, who requested not to be named. These are being imported in increasing quantities under the category of ‘electronic products’ and they’re finding a way into the states that have banned it. He says that people buy from one state and resell in the banned state. Or they order online, so the ban is not really implemented on the ground level. Another clue pointing to their growing popularity? AVI’s members have increased from 10 to over 4,000 in over two years. It is this growth in the market despite the ban in several states that is bringing down the price of vaping devices to half at about Rs 2000 ($30) and e-juice to Rs 350 ($5) in the last few years, he adds. It is adding to the customer base as smokers can afford to shift. Once they shift, says Awasthi, they are likely to puff a lot if they get in the habit. This, he explains, is because vapour or cloud, unlike smoke, does not stink and isn’t taxing. Awasthi believes that vaping helped him quit smoking, but does he plan on quitting vaping? “I have been nicotine-free for two years.” He takes a drag. “But now I am addicted to the flavours.” He lets it out. He has no plans of quitting vaping. Not anytime soon.